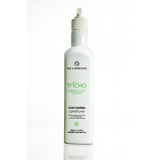 The Tricho Series is a three step program (a cleanser, conditioner and toner) and natural remedy for the treatment of scalp concerns including dandruff, psoriasis, itch, redness and scaling. With a sophisticated blend of certified organic active ingredients, the Tricho Scalp Therapy range is free from Petrochemicals and SLS that can irritate sensitive scalps. 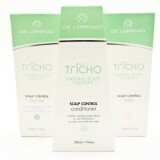 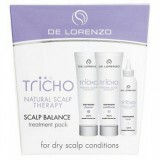 Tricho Scalp Therapy series is available in three variants suitable for different hair/scalp types. 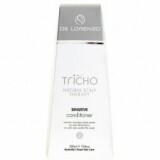 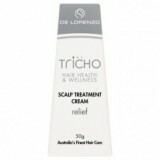 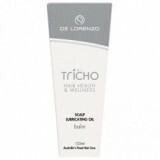 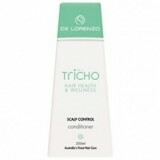 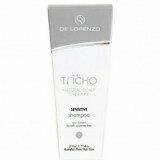 De Lorenzo tricho sensitive scalp balm is a lubricating oil that is designed to help sof..
De Lorenzo tricho sensitive relief scalp treatment crème contains marrubium plant ..
De Lorenzo tricho scalp balance cleanser contains marrubium plant extract which is an an..
De Lorenzo tricho scalp balance conditioner contains marrubium plant extract which is an..
De Lorenzo tricho scalp balance toner is formulated to relieve symptoms of dandruff, itc..
De Lorenzo Tricho Scalp Balance Cleanser 200ml, Conditioner 200ml & Toner ..
Tricho Control is a simple three step treatment program formulated to relieve the sympto..
De Lorenzo Tricho Scalp Control Cleanser 200ml, Conditioner 200ml & Toner ..